The eCourt project was mainly conceptualized as per the National Policy and Action Plan to implement information and communication technology in Judiciary 2005 of India which was submitted by the e-Committee of Supreme Court of India. The vision of this project was transforming Indian Judiciary by the ICT ennoblement of the court for making justice delivery process cost-effective and affordable. Integrated eCourt services mission mode is known to be a national e-Governance project properly being implemented in the High Courts in India as well as other subordinate courts of India. Central government gave the approval of computerization of total 14,249 district as well as subordinate courts in March 2014. The total budget for this project was 935 crores. There are various objects and aims of this project such as providing designated service to the lawyers, litigants as well as judiciary by the universal computerization of the district as well as other subordinate courts in India and thus enhancing the ICT enabled justice system. Providing time-bound and efficient citizen-centric services as described in the Litigant’s Charter of eCourt Project. Developing, installing and implementing decision support system in the court. Automation of the effective methods for providing transparency in the accessibility of the information to the stakeholder. Enhancing the judicial productivity, both quantitatively and qualitatively for making justice delivery systems accessible, affordable, predictable, cost-effective and reliable. 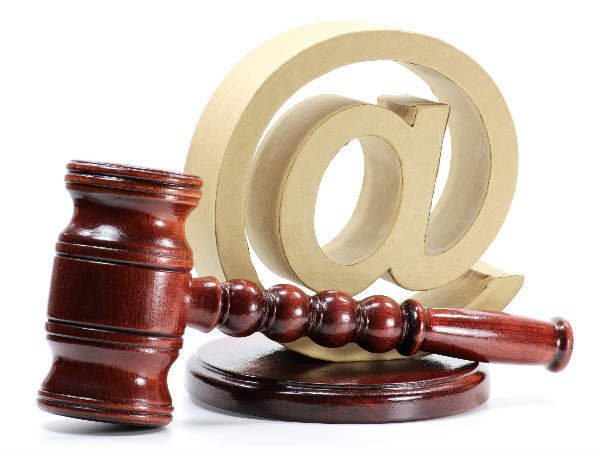 Making judicial system ICT properly enabled by placing modern and adequate hardware along with connectivity. Proper automation of the workflow management in each and every court. Proper electronic movements of the records from Taluka/Trial to the appeal courts. Installing video conferencing facilities as well as recording the witness across video conferencing. Perfectly connecting each and every court in India to National Judicial Data Grid via WAN as well as other alternate connectivity. Various citizen-centric facilities like e-payment, electronic filing as well as the use of the mobile applications in every court. The touchscreen oriented kiosks in all court arenas, complete computerization of the State as well as district level judiciary along with service academies. CNR stands for Case Number Record. Each and every court case a different and unique CNR number. No two cases are supposed to have the same case numbers whatsoever. This is how two cases are being different from having two different CNR number. Knowing the court case status is a lot easier process than you think. You just need to follow the following step by step process. If you want to check high court case status, then you are required to visit the site highcourtchd.gov.in. On the other hand, in case you want to check district court case status then go visit the website ecourts.gov.in. If you want to gather information about Supreme Court case status, then visit the official website of the Supreme Court. Now you have to utilize the CNR number of your case. Visit the respective site of the respective court and enter 16 alphanumeric CNR Number. You are not supposed to use any kind of space or hyphen. After entering the relevant CNR number of your case, click on search button and bang. There are the status and full history of your case. On off the chance you don’t have or know CNR number of your case even then you can get your information by applying other methods. In that case, you supposed to use other options such as advocate name, party name, case registration number etc. In order to do this, you are required to click on Case Status image. The Case Status image is provided on the left-hand side menu. The method is the same for other courts like tis Hazari court. If you have an Android smartphone, then you can also check your case status through the Google app. 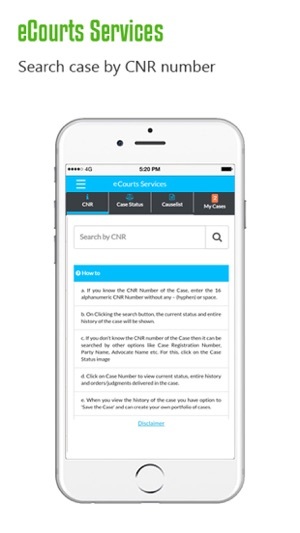 First, install the relevant Android app for the district court case information named ‘eCourt Services’’. This application is available on the Google Play Store. On the other hand, if you want to know the current status of your case through SMS then type ECOURT <space> <CNR Number> on your phone and then send it to 9766899899. That apart, if you want to avail up-to-date information regarding your case then you supposed to provide your mobile number or email ids at the Gate Pass Counter of the High Court or other District Courts. Except these, if you want to collect information about the full case then you need to visit the nearest Common Service Centre (CSC). It is important for you to do the necessary online research beforehand to know the methods to know Supreme Court case status or high court case status as per your needs. On the other hand, if you want to know about tis hazari court admit card, you can also know that effectively.